How is it even possible that Elon Musk could build four multibillion companies by his mid-40s — in four separate fields (software, energy, transportation, and aerospace)? As I kept reading dozens of articles, videos, and books about Musk, I noticed a huge piece of the puzzle was missing. Conventional wisdom says that in order to become world-class, we should only focus on one field. Musk breaks that rule. His expertise ranges from rocket science, engineering, construction, tunneling, physics, and artificial intelligence to solar power and energy. Follow the 5-hour rule and put at least 5 hours per week into learning. Study widely in many different fields. Understand deeper principles and mental models that connect those fields. Apply those mental models to their core specialty. Amazingly, the most comprehensive study of the most significant scientists in all of history uncover that 15 of the 20 were polymaths. Furthermore, the founders of the five largest companies in the world — Bill Gates, Steve Jobs, Warren Buffett, Larry Page, and Jeff Bezos — all polymaths (who also follow the 5-hour rule). Creating an atypical combination of two or more skills that you’re merely competent can lead to a world-class skill set. Gives you an information advantage(and therefore an innovation advantage) because most people focus on just one field. It helps you stand out and compete in the global economy. Despite this basic insight, few people actually learn beyond their industry. Each new field we learn that is unfamiliar to others in our field gives us the ability to make combinations that they can’t. This is the modern polymath advantage. One fascinating study echoes this insight. It examined how the top 59 opera composers of the 20th century mastered their craft. Counter to the conventional narrative that success of top performers can solely be explained by deliberate practice and specialization, the researcher Dean Keith Simonton found the exact opposite: “The compositions of the most successful operatic composers tended to represent a mix of genres…composers were able to avoid the inflexibility of too much expertise(overtraining) by cross-training,”summarizes UPENN researcher Scott Barry Kaufman in a Scientific American article. At first, Musk’s reading spanned science fiction, philosophy, religion, programming, and biographies of scientists, engineers, and entrepreneurs.As he got older, his reading and career interests spread to physics, engineering, product design, business, technology, and energy. This thirst for knowledge allowed him to get exposed to a variety of subjects he had never necessarily learned about in school. Elon Musk is also good at a very specific type of learning that most others aren’t even aware of — learning transfer. The answer is Approach #1! Each different A in Approach #1 gives more insight into what stays the same and what differs between each A. On the other hand, each A in Approach #2 gives us no insight. In aerospace in order to create SpaceX. In automotive in order to create Tesla with self-driving features. In trains in order to envision the Hyperloop. In aviation in order to envision electric aircraft that take off and land vertically. In technology in order to envision a neural lace that interfaces your brain. In technology in order to help build PayPal. In technology in order to co-found OpenAI, a non-profit that limits the probability of negative artificial intelligence futures. In physics in order to build The Boring Company. 1. What does this remind me of? 2. Why does it remind me of it? He spent many years reading 60 times as much as an avid reader. He read widely across different disciplines. He constantly applied what he learned by deconstructing ideas into their fundamental principles and reconstructing them in new ways. Learn the core mental models across fields (here’s my list). Relate those concepts back to our life and the world. Ferociously apply what you learn. As we build up a reservoir of “first principles” / mental models and associate them with different fields, we suddenly gain the superpower of being able to go into a new field we’ve never learned before, and quickly make unique contributions. It is because of this that I co-founded the Mental Model Of The Month Club. 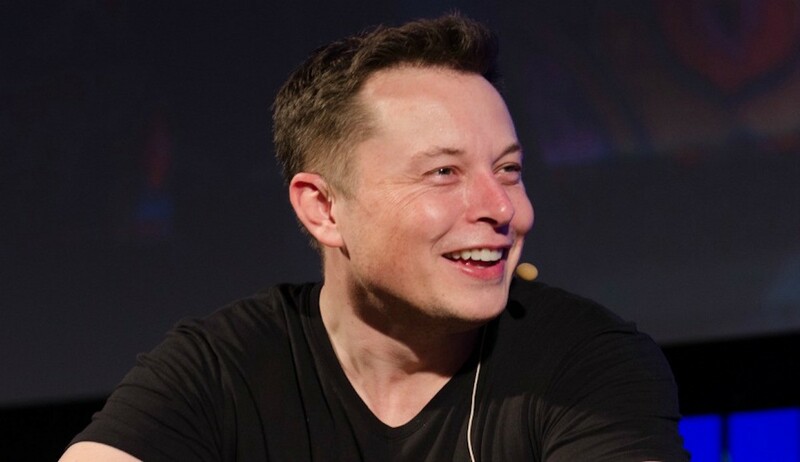 Understanding Elon’s learning superpowers helps us gain some insight into how he could go into an industry that has been around for more than 100 years and change the whole basis of how the field competes.